There was no evidence of Norse activity found during two summers' worth of digging at Point Rosee, says an archeological report. 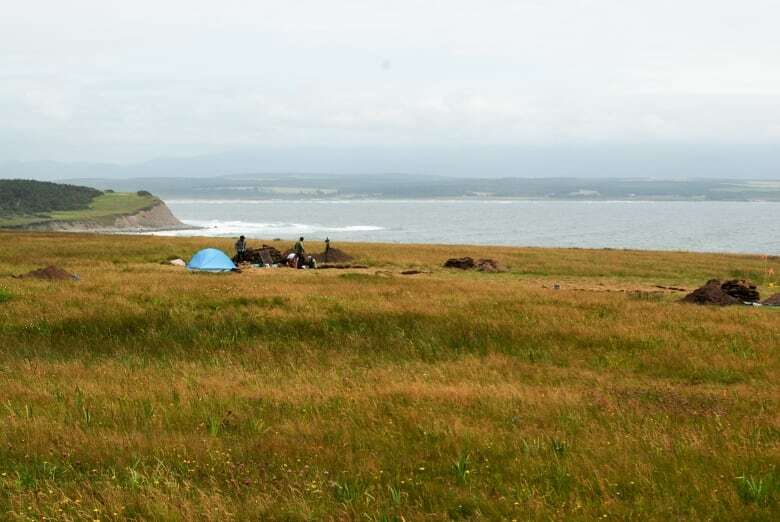 An archeological team searching for a Norse settlement at Point Rosee in the Codroy Valley has come away empty-handed, according to a project report submitted to the province. The report, filed by the team leads Sarah Parcak and Greg Mumford, is conclusive: "None of the team members, including the Norse specialists, deemed this area as having any traces of human activity," it states. Parcak and Mumford led digs at Point Rosee during the summers of 2015 and 2016, along the way attracting media attention from PBS to the New York Times, and reigniting interest in the possibility of discovering more about the Vikings' time in North America. To date, L'Anse aux Meadows, on the tip of the Northern Peninsula, is the only certified Norse settlement on the continent. But experts have long maintained the possibility of a larger Viking presence, possibly as far south as New Brunswick, and that promise loomed large at the beginning of the Point Rosee work. The Codroy Valley came into the archeological crosshairs from up above — way up. Parcak, often called a "space archeologist" for her extensive use of satellite imaging and remote sensing technology, was scanning the North Atlantic in 2014 for signs of Norse activity, when some scans pointed to enough possible evidence at Point Rosee to send a ground team. What is space archeology, anyway? The first dig in 2015, hampered by rain, hinted at evidence of Norse activity. 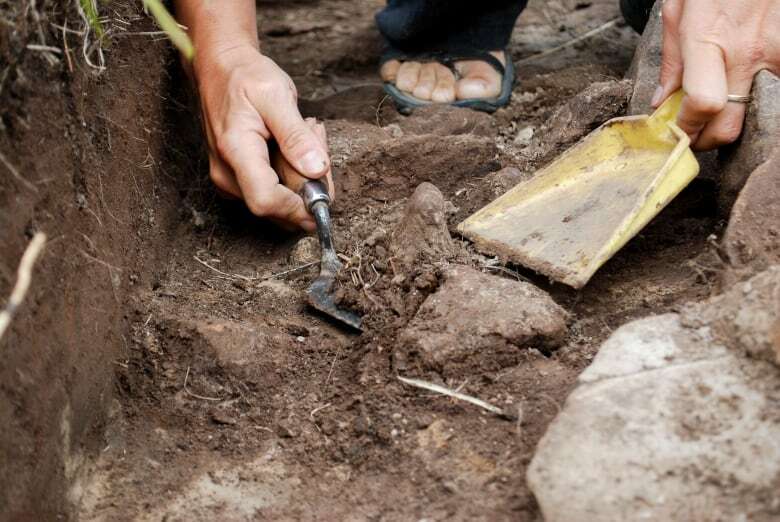 The team found bog iron, which radio-carbon dated to the same time frame as the Vikings, as well as evidence of a possible hearth where iron could have been processed. Pre-European settlement, only Vikings smelted iron, so documenting that production would provide conclusive evidence. As well, the team began investigating what the report called "two potential longhouse features." "These finds were considered sufficient to warrant further investigation, and formed part of the justification for fieldwork in 2016," said the report, calling the bog iron found there "promising." 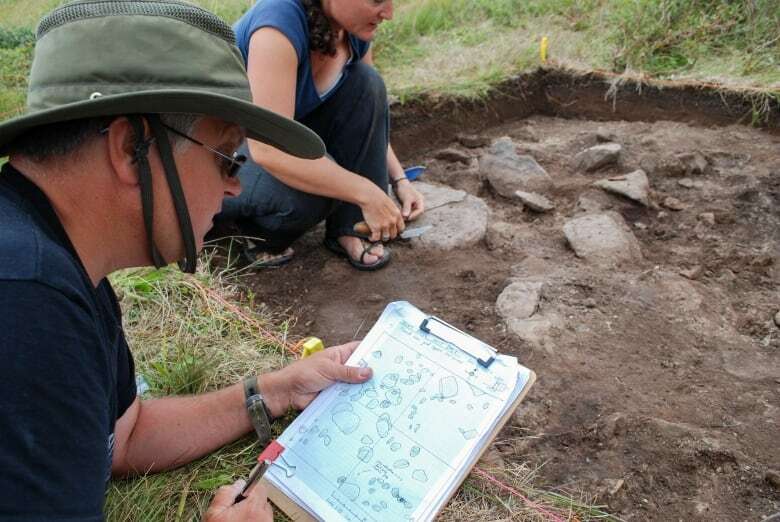 In the three-week 2016 dig, one of the team's primary goals was to examine the hearth area. But that, along with the larger dig, turned up no evidence, and following further testing in the lab, the team conceded defeat. "No diagnostic Norse artifacts were found. Further testing of bog iron samples for evidence of human agency determined that they were likely natural deposits with no evidence of having been further processed," the report stated. The possible "longhouse" features were also written off as natural, although the report does not shut the door entirely on the bog iron. "More in-depth reassessment of the bog iron ore from this area is pending and may clarify further the nature of the potential roasted bog iron ore that seemed so promising." The report also notes that coastal erosion over the millennia may play a factor in locating Norse remains. While Point Rosee may be a Viking bust, the report does not shut the door on the southwest tip of Newfoundland. "The Codroy River region itself remains a good candidate for potential early European visitation and/or settlement," it stated, calling material found in the Point Rosee search "an intriguing riddle." The Vikings themselves, in their Sagas, wrote of travelling farther south or west from L'Anse aux Meadows, and will no doubt continue to tempt academics and armchair archeologists to speculate about settlements. However, in their report, Parcak and Mumford state their experience doesn't "warrant a return."